Like kombucha, kvass is an ancient fermented beverage known for promoting optimal health. First mentioned in Old Russian Chronicles in 989, kvass is the most common non-alcoholic beverage drunk in Slavic countries. It has been said that throughout its history, it has (in some places and times) been more popular than water. Visit any major city in any Slavic country today, and chances are you’ll see kvass vendors on the street. Like beer, Kvass can turn quite foamy, particularly when made from rye. Veggie kvass ferments tend to simply be fizzy. A refreshing thirst-quencher, a tonic for digestion, a probiotic, and a powerful detoxifier, kvass has deserved its prominent place in Slavic cultures. Because I believe so firmly in the power of living, fermented foods to help heal the gut and transform health, I’m pleased to be giving away 6 bottles of kvass this week (in varieties of your choosing)! If you’ve never tried kvass, I think you’ll want to. It has a very rich, full-bodied flavor and isn’t nearly as acidic as kombucha. Mildly sweet, salty, and pleasantly tart — that’s how I’d describe it. Your choice of 6 Zukay Kvass drinks. 1. The first step to entering the contest is to click on the link below. 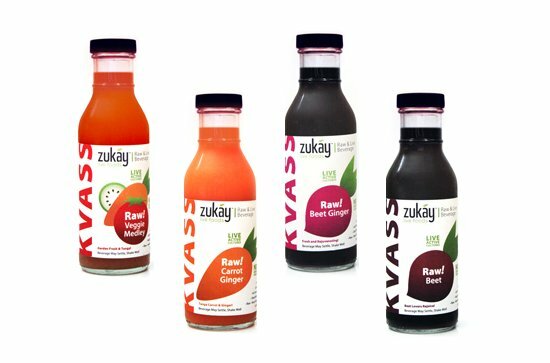 You’ll be taken to the Zukay Live Foods website, where you can check out their entire line of naturally fermented, probiotic dressings, salsas, and drinks. Then, come back here and leave a comment letting me know which products/flavors you’re most interested in trying. This contest will end Sunday, November 28thth at 11:59 PM PST. Winner will be announced the following Monday. Please note this contest is only open to those with U.S. shipping addresses. I subscribe to your blog. Though I would personally like Veggie Kvass, I really need to ry somebody’s Beet Kvass as the one I am making at home just tastes like beet water! I would love to try all 4 of the drink flavors, the sweet onion basil dressing, and the mild salsa. They all look soo good! Ooooh I had no idea that kvass could be made with such different ingredients! I’d like to try them all! I’ve been wanting to try a bunch of their products but just haven’t yet. I want to try all of the drinks! They carry everything else at my local coop but not the drinks! I keep checking and checking but they have yet to show up. I’m a little confused though, is it really $30 for 6 bottles? That’s pretty expensive! I already sub to your RSS! I would love to try the plain beet version and compare it to my homemade one. I’ve never had a “real” one so I don’t know if I did it right! Oh, these look great! I would like to try the drinks in beet, veggie medley, and carrot ginger. The dressings that I’d like to try would be the red pepper cilantro, the cucumber mint, and the tomato provencal. Thanks for the opportunity to win the drinks! I would love to try the beet/ginger combo! I would love to try the Kvass sampler pack…i am always staring at the recipe in nourishing traditions, but havent gotten the courage to try to make it yet. I am signed up for your RSS feeds! I “like” you on Facebook, and I shared your giveaway info with a link to this page. Thanks so much! I clicked on the link and would love to try beet kvass or their salsa. I’ve already tried their salad dressings!! I would LOVE to win this as I am just learning about fermented foods and would like to try some of these that I have never heard of! I am already signed up for your RSS feed. Just visited the site. Salsas, salad dressings and relish? Cool! Never heard of these and would like to try them all! Even though I make my own salad dressings, I would really like to try the tomato pepper pesto dressing. Sounds delicious! I’m thinking carrot ginger, but would like to try them all! I already subscribe through email updates. I would like anything with ginger– beet or carrot! Both ‘liked’ and linked on Facebook! The cucumber mint and sweet onion basil dressings sound good! 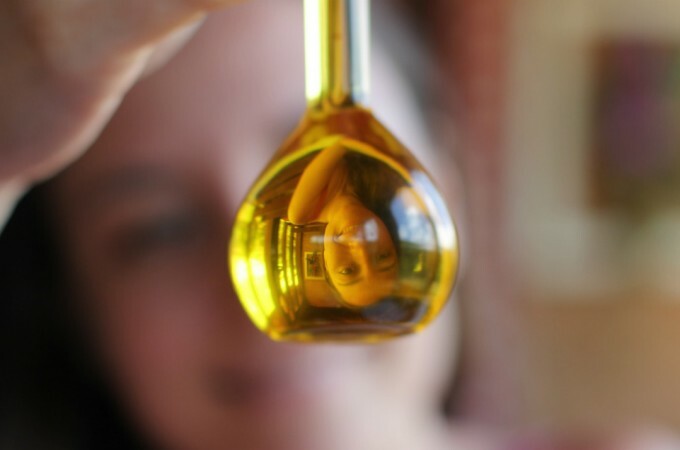 I would love the try the salad dressings…yum! But the kvass looks great too! I want all those salad dressings! I would like to try the salad dressings…especially the carrot ginger! I am already a fan of your FB page. I just shared this giveaway on FB! I picked up a couple of their dressings at the co-op last week, and we love them on rice and beans, salad, eggs… I look forward to trying more of them. I am interested in the salsa and salad dressings! The beet ginger kvass sounds really interesting. I love Zukay Dressings… so good! and I’d love to try the ginger carrot kvass! Oh, their dressings look so tasty! Sweet Onion Basil sounds heavenly! the hot salsa sounds wonderful! I linked giveaway on FB page. Ooo, I’d like to try their ginger kvass. I would love to try the salsa! I would love to try to ginger beet kvass. I subscibe to your email updates. I’d like to try the veggie medley kvass. the salsas. though you have me intrigued by the kvass – so perhaps the veggie meldey of that. They sound good. Would love to try them. While most of it looks tasty, the FIRST thing I would want to try would be the tomato provencal salad dressing. I searched and there are no stores within 100 miles of me. Also, I subscribe to your feed, so toss my name in the hat again. I visited your Facebook site and liked it. I would love to see how kombucha compares to kvass. I have been really wanting to try (or make) kvass. I’m really interested in the beet ginger and carrot ginger flavors! Yum! I follow you on Twitter and I tweeted about the giveaway. I subscribe to your updates in Google Reader. I emailed my friends about this giveaway. I’m interested in trying all of the flavors! If I had to pick just one, I’d probably go with beet since that is the traditional flavor. I had no idea there were any others! I’m stuck in a rut with salad dressing…I’d love the six pack sampler, one of each. If I had to pick just one flavor it would probably be the Tomato Pepper Pesto. visited the site. been looking forward to trying beet kvass! i’m signed up for your emails too! liked you on FB! beet kvass beet kvass beet kvass! visited the site. Would love to try the Carrot Ginger Kvass. I saw some relishes like this at Erewhon Market in LA from a company called Healing Movement and I loved it. I would love to try the carrot ginger kvass! I’d like to try the beet ginger. Visited Zukay’s website and LOVE the beet and veggie medley flavors. I tried them at the WAPF conference…SO GOOD! I linked this giveaway to my Facebook page. Thanks for the opportunity! Liked you on FB and getting your news letter. Hope all goes well as you eat your way back and the problems go away! Nourshing Traditions is an awesome resource. The drinks (kvass) sound good! I also think the salsa and the salad dressings sound good. I don’t know that I would like the relishes….I would love to try the drinks to see how they would do for me, to see how I would feel from using them, and to see if this is an item I’d like to add to my diet. I know I would love the probiotic affect. I already ‘like’ you on facebook and I recieve your newsletter. I don’t know how to enter otherwise. Thanks for having these giveaways! I really want to try the ginger carrot and raw ginger beet kvass. They look yummy. Please enter me in the contest. I’m so excited for this give-away! I’ve had them on my list to try for a few weeks now… I think they all sound great. I’ve tried making beet kvass, but don’t get a fizzy drink. Thanks for the chance at trying them! I would love to try their relishes. Went to the site and think I’d like to try the carrot ginger drink. But I’ve never seen this brand’s products before and they all look good. I blogged about your giveaway and am subscribed to your site! Carrot ginger sounds good – I have experimental beet ginger brewing now! I follow you on twitter, “like” you on FB, and subscribe to your blog. I think the Veggie Kvass would be the best choice for me since beets and ginger really aren’t my thing. THANKS! I have already bought their salsa and love it. I would like to try the Beet Ginger and the Carrot Ginger Kvass. I am signed us for your email updates. I would love to win the Beet Kvass – I have tried to make this myself but it never works. Follow you on Twitter, and I tweeted the giveaway. Veggie Medley is what I’d like to try. I just Facebook Liked you. After visiting their website I’d really like to try the beet kvass simply since the one we made tasted like dirt, lol. Or the beet or carrot with ginger love ginger. Also, I subscribe to your blog and liked you on facebook. I am already receiving your eNL, and am I ever glad! WOW! I never heard of Kvass, but they ALL sounds so delicious! I LOVE fresh, raw drinks, and as a person with multiple autoimmune diseases, I know that they give me energy and just make my body ‘feel better’. I would love to try any of the Kvass. Yeehaw! I would LOVE LOVE LOVE to try Kvass. I drink kombucha throughout my day. I would like to try Kvass now. Thanks for having such a cool giveaway. I didn’t even realize that there was a bottled Kvass product on the market. I wonder where it can be found. Wow! I love that site/company. What a great idea. I would like to try the regular Beet Kvass, because I have been wanting to make it, but wanted to try it first, and the veggie medley, because, well, who doesn’t like a medley of veggies? I would like to try the two flavors with ginger in them. Thanks. oooh, i’d love to try the Carrot Ginger Dressing! beet kvass is my next project to try making! I visited the site and the salsa looked really interesting. I’d love to try the Beet/Ginger Kvass … I’ve made Beet before at home and LOVE it, but didn’t know you could flavor it! Sounds delish. I’m also an RRS subscriber. Thanks for the chance, and Happy Thanksgiving! Thanks for having this giveaway and pointing me to Zukay. I would love to try the dressings….and the relishes – it all looks yummy & to think it is actually good for you fascinates me…. I shared with 5 friends…. I’ve never tried Kvass and am very interested now! I can’t decide which flavor….maybe Beet cavas??? Thanks! I would really enjoy trying all the salad dressings. Everything looks good! I already subscibe to your email updates. I’d like to try it all especially the beet kvasses since I sometimes make my own at home and sometimes they don’t taste very good! I’d like to try the carrot ginger kvass. I’ve read about it in Eat fat, Lose fat, but haven’t tried making it yet. I need refreshing beverage options to get me off soda! I get your updates by email. Just signed up to get your email updates. I’d love to try the beet kvass or perhaps the ginger beet – I spent my early childhood in Russia but I’ve forgotten what kvass tastes like and had no idea it was available in the US. I’m very curious! Perhaps the veggie medley kvass would be be closer to the traditional Russian kvass, though… I’d love to share some with my parents to see if it tastes like what they’re used to from their Russian days of youth. I also stumbled this post – my first stumble, actually! Sounds really interesting. I wish they sold it here in Texas! Added your feed to Google Reader! I want to try the Raw Beet Kvass, and definitely the Carrot Ginger..!!! We grow, preserve and sell to area Restaurants.. relishes and salsas from our Juliet Tomatoes, and our pestos have really taken off. I take probiotics and would love a “yummy” source rather than pill form…I think I have just found it…!!!!!! I have DEFINITELY signed up for your e-mails..My daughter found you sight and sent me the face book link to yo yesterday….!!!!! I am sure it is okay that I sent your link to ALL my e-mail friends…Great stuff here…!!!! Your sight is now on MY wall and news feed on Facebook….!!! I’d love to try the Carrot Ginger Kvass! Sounds yummy! Got your RSS Feed on my Google Reader! I am looking to purchase some Beet Kvass. Can you help me or lead me to a place where I can?